Few cars can compete with the Jeep Wrangler, an icon of ruggedness beloved by off-roading fans for decades. Here’s what you should know about the newest Jeep Wrangler models. The modern Jeep Wrangler is the descendant of 70 years of rugged all-terrain military SUVs. Since the 1940s, “Jeep” has been practically synonymous with off-roading, durability and versatility. The 2017 Jeep Wrangler is no different, and its multiple trim packages provide a variety of options for every consumer. If you’re in the market for a new Jeep this year, it’s worth taking some time to review the different trim options to find the best fit for your needs. Unlike in years past, something that won’t change between trim options in 2017 is the engine. Since 2012, all Wranglers are equipped with the Pentastar V6, which offers ample power at the expense of some of the fuel economy of the old V4 models. 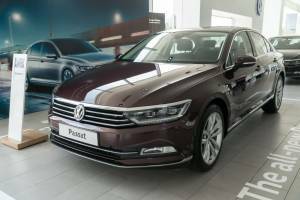 You can also choose between manual and automatic transmission at any trim level, ensuring you’re able to get your preference for exactly the car you want. The Wrangler Sport is the most affordable basic trim option, and it’s plenty of car for the average driver. This 4WD off-roader starts at $23,995 MSRP and comes with fairly utilitarian features including cloth seats, plastic fenders and bumpers, as well as a durable black soft-top. The Sport has the same interior space as other Wrangler models, but it’s a bit lighter, translating to slightly superior gas mileage. It also has smaller tires and a lower clearance, making it less than ideal for heavy-duty off-roading, but it’s still got enough power to get you through tough weather and some muddy terrain. For a rugged, affordable no-frills Jeep option, the Wrangler Sport might be the perfect choice. If the Wrangler Sport is the no-frills option, the Sahara is the more luxurious trim option. 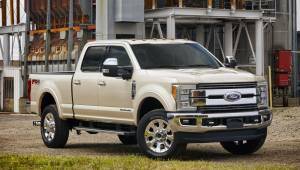 The MSRP starts at $30,445, and the higher price primarily reflects interior features for greater driver comfort as well as a few options for the exterior. There are numerous options available to customize the Sahara, primarily allowing you to personalize its appearance. However, it’s worth noting that the differences between the Sahara and Sport are primarily aesthetic; if you’re looking for better performance in off-road capabilities, you’d be better off looking at the Rubicon. The Jeep Wrangler Rubicon is the most heavy-duty trim option, and it packs more power than the average driver needs. In order to make it rugged and trail-ready, the Rubicon sacrifices some comforts; it’s great for navigating rough terrain, but it’s wasted on city streets. 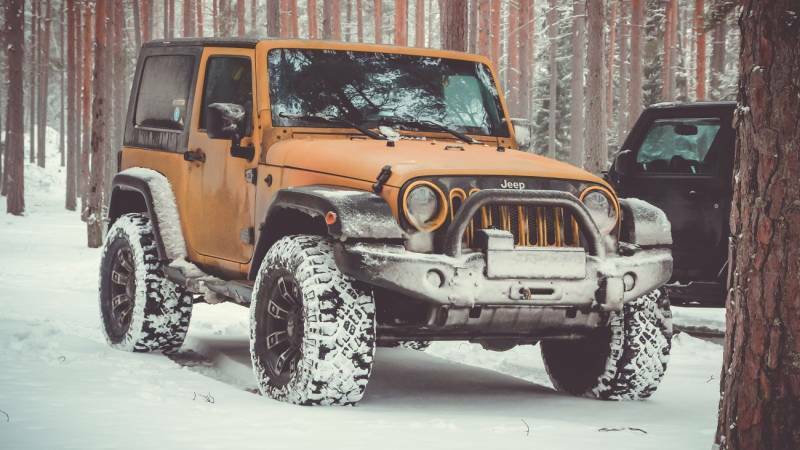 If you’re looking for a day-to-day commuter vehicle, the Rubicon is probably a waste of money for you; if you need a heavy-duty 4WD workhorse to go off-roading, the Rubicon is the right choice. With an MSRP starting at $33,645, the Rubicon is quite a bit more expensive than the Sport. It’s also significantly heavier, with a curb weight nearly 300 pounds higher than the Sport model. This heft, coupled with the higher clearance, gives the Rubicon an advantage on tough terrain. In addition to the above trim types, you can also purchase a Jeep Wrangler Unlimited. 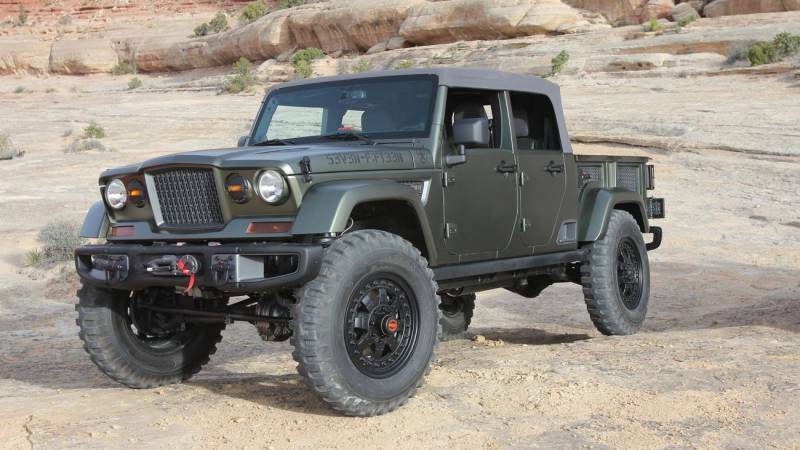 This is a four-door style Jeep that otherwise shares the specs of the trim of your choice. In other words, you can choose a Sport Unlimited, Sahara Unlimited or Rubicon Unlimited. Jeep enthusiasts will be excited for a glimpse at the 715 Crew Chief, a concept car that brings Jeep back to its military roots while offering many modern touches. The 715 is a four-door SUV with a short truck bed in the back, providing hauling space without sacrificing the classic Jeep appearance. This retro-militarized vehicle is inspired by the 1960s Kaiser M715, from its harsh angles to the Tactical Green paint job. The chassis is essentially a Wrangler Unlimited with the addition of 40-inch-tall non-directional-tread tires and Dana 60 axles, lifting the body an additional four inches. Although the exterior of the 715 Crew Chief features utilitarian retro-military stylings, the interior is plush and luxurious enough for any modern driver. The effect would be to produce a vehicle with the cargo capacity of a small pickup, the size and seating capacity of a Wrangler Unlimited and the trim to rival a Rubicon. Considering these features, it’s little wonder that Jeep enthusiasts are excited about its possible debut. For the moment, however, you’ll have to wait; there has been no mass production of this vehicle yet, and it may not appear on the market looking quite the same as its concept design. The Crew Chief 715 concept debuted at the 2016 Easter Jeep Safari in Moab, Utah, and as of right now it remains a concept teaser. However, Jeep’s Chief Designer, Mark Allen, has suggested that a Jeep Wrangler Pickup is on its way, so the Crew Chief or something like it may soon be available for the public.